Eddy tablet is preloaded with several educational content including over 160 learning apps. 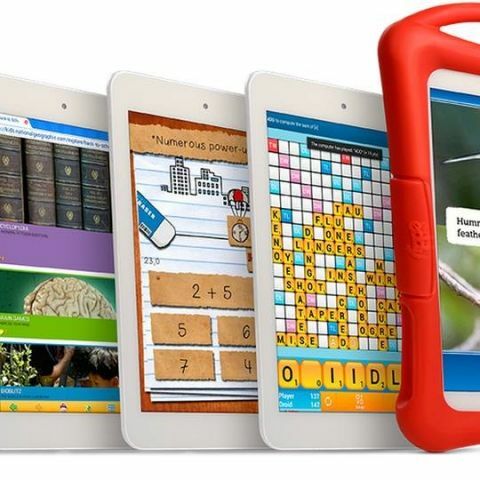 Metis Learning and Intel have joined hands to launch a new educational tablet for kids. Called the Eddy, the new tablet runs Android 4.2.2 with overlay of proprietary Athena OS and is powered by Intel Atom Processor Z2520 processor. The tablet has 7-inch multi touch capacitive IPS display with UV ray protective layer. The device has an internal storage of 16 GB and can be expanded up to 32 GB. It comes pre-loaded with over 160 learning apps selected by educators and experts. Eddy’s preloaded content covers over 300 key skills for kids between the ages of 2 to 10. Priced at Rs. 9,999, the tablet will have launch discounts and offers worth Rs. 4,500 for a limited time. The tablet is exclusively available at Amazon.in. “We are happy to be the partner of choice for Intel & Metis and offer our customers the opportunity to be the first to purchase the Eddy tablet. We are witnessing a significant demand for children’s products on Amazon.in and we see this as a great opportunity to offer customers across India the ease, convenience & joy of shopping for a great product that promises to make learning fun for kids,” adds Samir Kumar, Director Category Management, Amazon India. Metis had launched an Eddy tablet earlier this year as well. The tablet, like the new one, focussed on educational content and featured 7-inch IPS display, Android Jelly Bean and dual-core processor. Which is best Tablet to buy under Rs.15000? Tablet or laptab or laptop with Rs. 20k ? ?